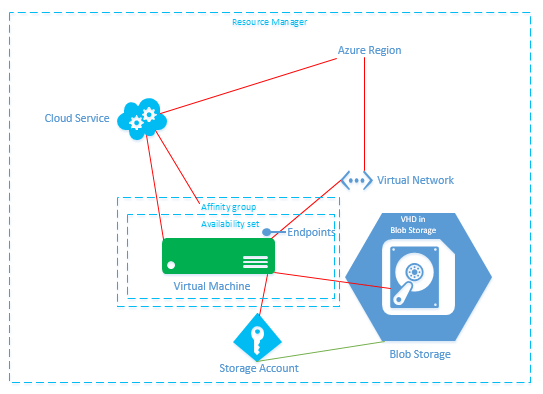 This blogpost is part of a series of posts regarding how to create a vm in Azure. To start off, I always ask people to plan their deployments, instead of just clicking everything together. What things to consider? Well there’s the sheer size of the Virtual Machine just to name one of the things… Networking is another thing you might want to “design” before you provision a VM. And then of course the number of data disks the vm will need, which is directly related to the T-shirt Size of the vm you chose before. Size matters in cloud computing and I’ll give you one, hopefully very clear example why… Let’s say your company is taking advantage of the scalability of services / vm’s in the cloud. This means that at a certain point you defined, which in Azure can be queue depth in Web Services or CPU load in VM’s, your service starts to scale out. What’s the amount it will scale out to? To another VM/Service with the same size. Whenever you host your “normal workload on an A6 machine, the Azure service will in fact spin up another A6 machine to scale out the affected service. That could just be a little overkill. 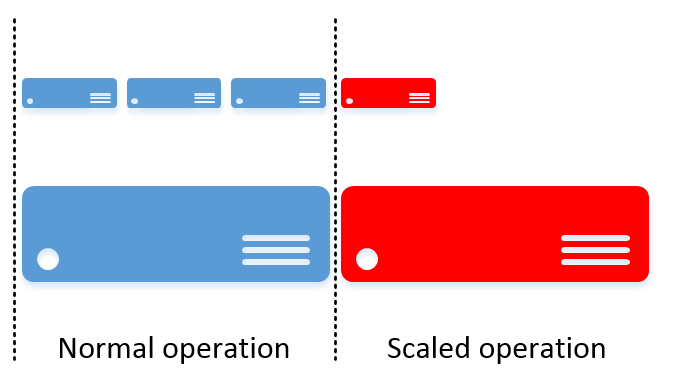 So it might be a better idea, when your application supports scaling out, to offer those services on a couple of smaller virtual IaaS servers, so you can scale out on a more granular basis. This is a scenario most often used in scaling out front-end servers of web-applications. Networking is somewhat different from the experience on-premise. Yes, we can use static ip addresses in our Vm’s on Azure, but only set by Powershell…. Yes, we can change the Virtual Network on a deployed VM in Azure, but only with….. (you’ve guessed it)…. Powershell. Did I already mention NOW is the time to get your Powershell knowledge up to par? Well, I should have, and it is…. The main use of virtual networks is not only to create connectivity within the Azure Platform, but even more so to create a gateway to the outside world. This is where you start your connectivity through the Point-to-site and site-to-site VPN’s towards your clients or on-premise environment. How much data storage do you need? And with deduplication? In this post we’ve unveiled just a couple of “moving parts” on which a VM is greatly dependent on and I’ve hopefully provided you with some extra pointers to consider when deploying “just” another virtual machine on Azure. Check back soon for the next phase in our mini-build in part 2 of these series….